Phenom Exchange allows us to seamlessly connect the TRM Cloud platform to your existing talent acquisition tools. Social and mobile-friendly apps that your candidates will love. Connect any talent tool so they function as a cohesive unit. Phenom TRM sits on top of your ATS and syncs data in real-time. Our platform is ATS agnostic, meaning your candidates can't tell where Phenom ends and your ATS begins. Our holistic approach makes the journey smoother so candidates are more likely to finish what they started. Submitting an application shows the strongest interest from candidates. Phenom Exchange Mobile Apply assures job seekers can make their intentions known from any location, on any device. "Phenom People has allowed us to create a seamless career site experience without switching out our applicant tracking system. The candidate application goes into our ATS so our recruiters can review applications and contact qualified applicants much more efficiently." 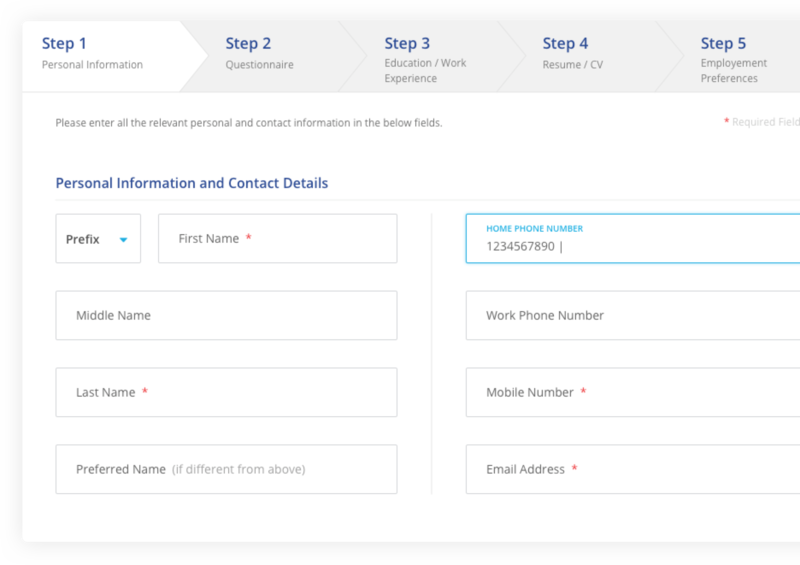 Phenom Social & Cloud Apply parses the data from a candidate's social profile or resume and transfers it to appropriately labeled sections in the ATS. The Phenom Engineering team has a plethora of experience integrating siloed applications to create a unified talent solution.